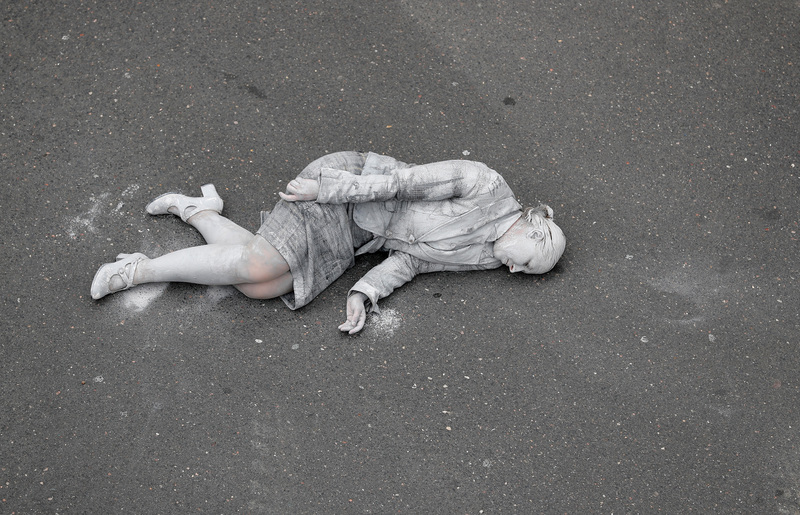 An art collective evoked the undead to make a hair-raising point about modern life. There’s no such thing as ethical consumption under capitalism, especially not the consumption of human flesh. 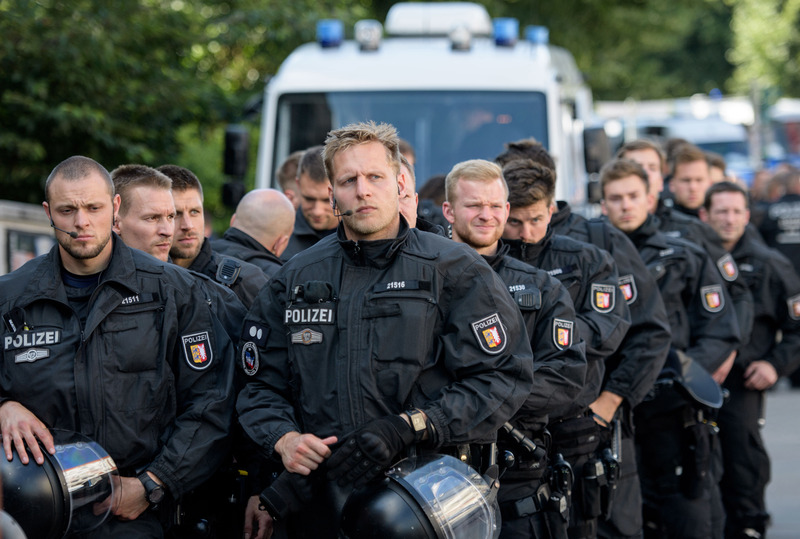 A shambling horde of protesters descended on Hamburg, Germany on Wednesday in order to protest the upcoming G20 Summit set to begin on Friday. 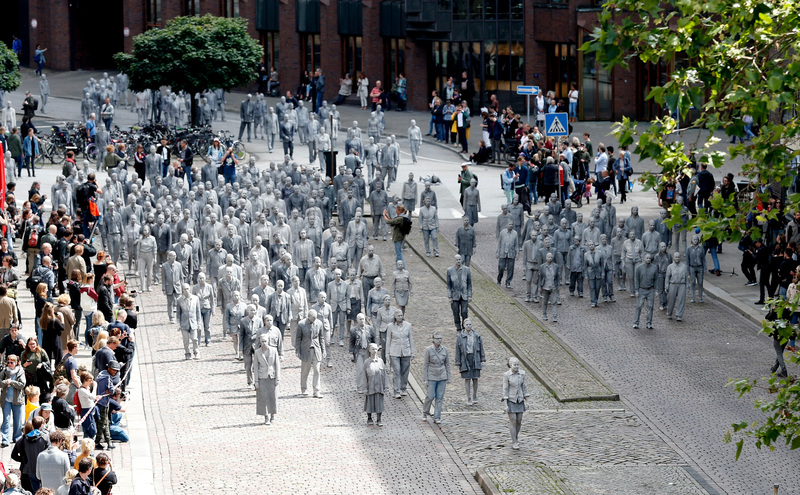 The demonstration was staged by 1,000 GESTALTEN, or “1,000 Figures,” a collective formed in February 2017 that has been planning the protest since its inception. 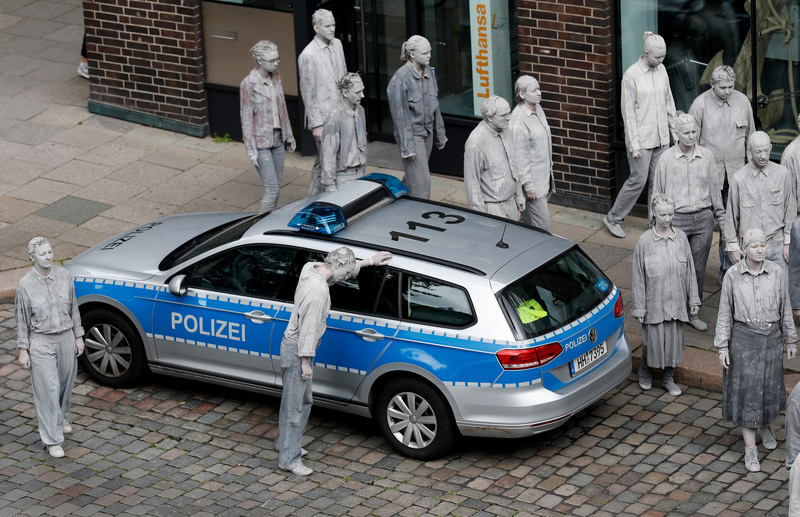 The marching dead coated themselves in gray clay and dragged themselves through Hamburg for the first time on June 17 in a prelude to Wednesday’s performance. Marchers coated in gray trudge past a police car. A crowd gathers to watch and record the zombified activists. A lone protester lies down on the ground. You can tell she is not a real zombie because zombies don't sleep. This performance foreshadowed another series of demonstrations, the ominously titled ‘Welcome to Hell,’ which began on Thursday and will continue until Saturday, when the summit is underway. ‘Welcome to Hell’ is explicitly anti-capitalist, and police anticipate that over 100,000 protesters will take part. 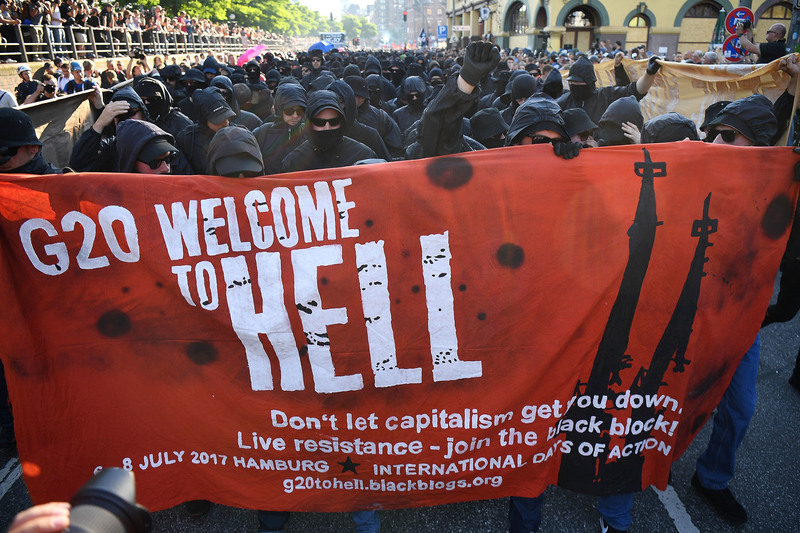 Protesters dressed in all black hold up a banner as they take part in the 'Welcome to Hell' protest march on Thursday. Police have geared up in preparation for an influx of "Welcome to Hell" protesters during the G20 Summit. 1,000 GESTALTEN’s action ended on an optimistic note. 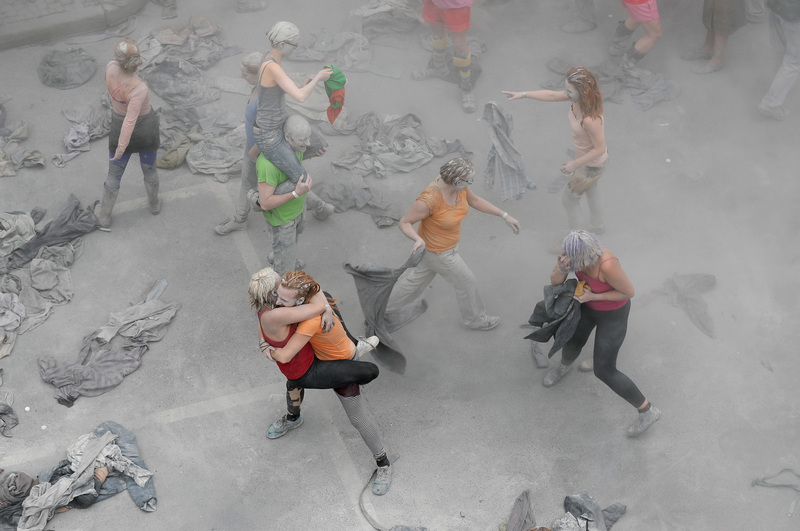 At the end of their route, protesters stripped off their clay-caked suits to reveal brightly colored clothing and embraced one another. Real zombies definitely don't hug. See also: why much of the world believes this G20 Summit will be the most contentious in history.